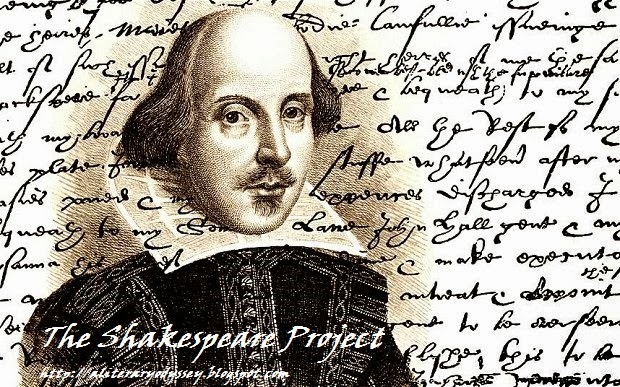 A Literary Odyssey: The Shakespeare Project. I have long loved the Bard. I first experienced Shakespeare's work as a freshman in high school reading Romeo and Juliet. And while I loved the lush language and characters, I hated the storyline. My English teacher, aware of my hatred for the love-obsessed teenagers, encouraged me not to give up on the Bard, but to read more of his work. Eventually, I did. I took a Shakespeare class later on in high school, as well as reading some of the sonnets on my own. In college, I took another Shakespeare class, where I learned more about the life of the man, the stories behind the sonnets, and read a few of his lesser-known plays. So when it came time to craft my list of initial 250 classics, quite a few Shakespeare titles happened to be repeats. Since then, I haven't had the opportunity to continue reading the Bard's works, so I'd like to make it a point to complete reading his works, and doing some more in-depth reading about the life of the man. Like my Willa Cather project, I want to read my way through his works and blog about the process. However, I've already made a huge dent in his complete works, so I will be using old blog entries for those plays. You can monitor my progress below.